Core diagrams serve as an important aspect of Enterprise Architecture; as they can be a guideline for as to how much standardization and integration a company has adopted as part of their operating model. Presenting Core Diagrams in a presentation or making them for enterprise use can be simplified if you have a good template to guide you along the way. 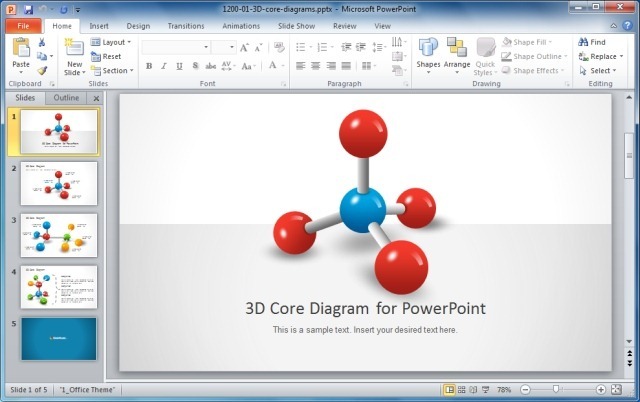 Let’s explore the basic idea of a core diagram and how you can use various PowerPoint Templates to master core diagrams. What is a Core Diagram? A core diagram illustrates the standardized processes according to your operating model, illustrating which data facets should be treated as the master data. A core diagram is meant to present a clear scope for an enterprise or even a business segment. Being an Enterprise Architecture Model, a core diagram facilitates enterprise design, planning, analysis and implementation, for the successful execution of business associated strategies. This is a template for making a core diagram, which may be used for presentations or general organizational use. This is basically an onion diagram template, which is meant to help you show the different dependencies for parts of an organization or its different processes. 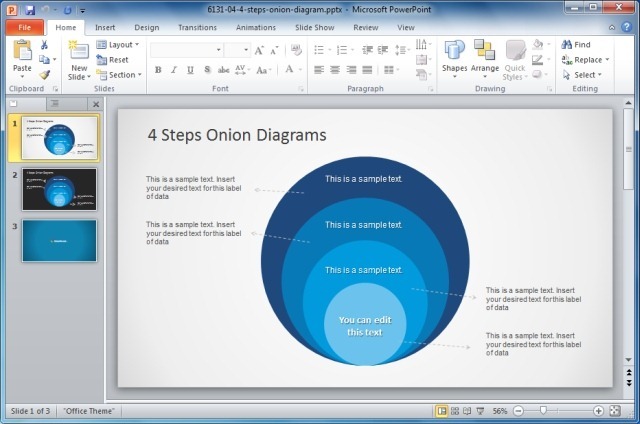 You can create a core diagram with the help of this template and share it by saving it in a preferred format (e.g. PDF or PPT) or print the diagram for organizational use. 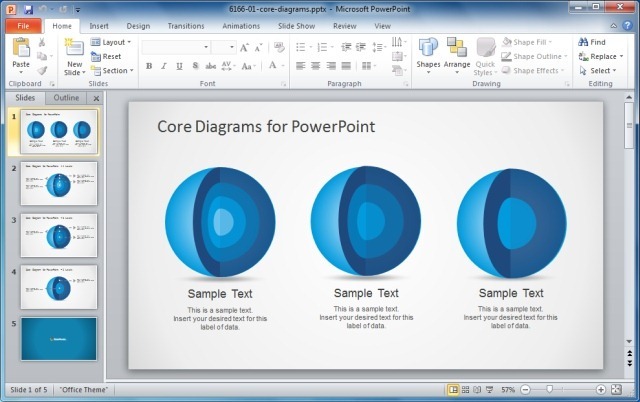 This is another nice template for making basic core diagrams in PowerPoint. 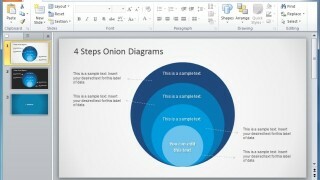 You can use it as an alternative to onion diagrams and also optionally make use of the multi-dimensional slide designs to display multiple steps individually on a single slide. This is a multi-purpose template which can be used for creating different types of scientific or organizational diagrams, including core diagrams. 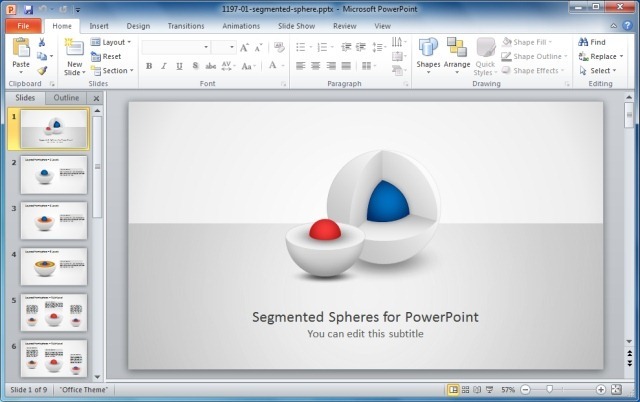 This 3D template for PowerPoint reflects different segments in 3 dimensional shapes, which makes it easier to grasp ideas and to see the integration of different elements within the diagram. This is why this template is ideal for making 3D core diagrams, which can arguably be easier on the eyes and much more compact in nature. If you are looking for something out of the ordinary, then this template might just suit your requirement. This is a 3D spherical diagram template which not only serves as an alternative to conventional core diagram templates but also enables you to fashion your diagrams using 3D shapes, hence providing the utility of making core diagrams with the power of 3D, using spherical slides which may be used for making individual diagrams or different steps of a core diagram. Tags: Analysis Templates, Business Plan Template, Business PowerPoint Templates, Core Diagrams, Diagram Templates, Templates.